Adding a multi-purpose additive such as Sterling’s Formula R55 Waterbed Conditioner helps to lengthen the life of the water mattress by treating the plasticizers in the vinyl keeping it supple. It also helps control any odors by inhibiting bacterial growth in the water and also reduces those pesky bubbles and the need to “burp” them out of the mattress. 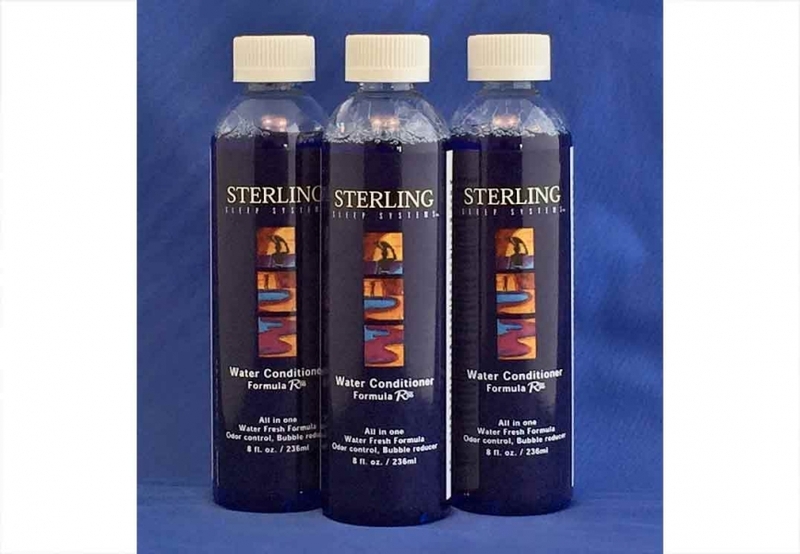 Sterling’s Formula R55 Waterbed Conditioner lasts 12 months in most waterbed mattresses. Just open the waterbed mattress valve and pour it in. Easy!